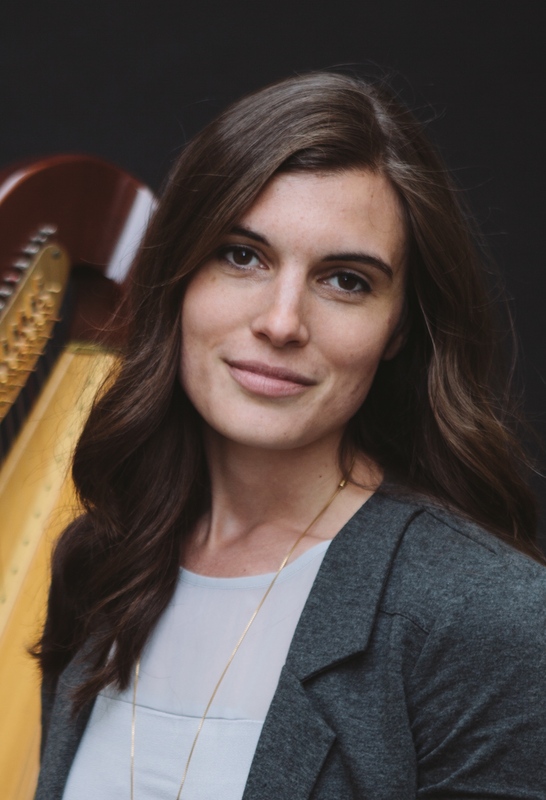 Jessica Gallo’s love for the harp started in grade school, when her grandfather would often take her to lessons. Years later a series of strokes put her grandfather in the hospital. Jessica was in college studying harp performance when he fell ill and she decided to play for him. Something about the music made a difference. Jessica looked into music therapy, where music helps to accomplish medical treatment goals. But it wasn’t until she discovered the Music for Healing and Transition Program (MHTP) that she could see the path she wanted to take with patients. The MHTP trains musicians in the methods of playing music to create a healing environment for any patient, but especially for the very ill or those at end of life. Graduates of the two-year program become Certified Music Practitioners (CMPs). Patients don’t always know what to expect when Jessica enters the room. They may say they’re not ready for a “concert,” but Jessica assures them she’s not there to perform, but to play while they rest. Patients don’t have to watch, clap or even request specific music, which would create undue pressure. They are welcome to keep doing an activity, like being on their phone or iPad, but Jessica finds that after a while, the device is forgotten, eyes close and tension fades away. Because music can have a strong emotional connection for people, CMP training provides guidelines for certain patients. For someone who’s critically ill, a reaction to known music, even if positive, might be too much given their condition. But for someone with dementia or Alzheimer’s, finding a familiar song they’re able hum along with can be comforting. For the dying, familiar music can disrupt the process, as can complicated pieces of music. While she plays, Jessica is always aware of the patient. Being able to adjust the music based on the patient’s reaction is a key advantage over recorded music. Sometimes Jessica finds herself improvising new music as she listens to a patient’s breathing. She views music as creating a mental space for reflection and new thoughts, allowing a patient’s mind to leave the hospital, even if their body can’t. Though the practice of CMPs is still an emerging field (there are less than 200 estimated working in the U.S.), controlled studies of live music in the health care setting have demonstrated reductions in pain, physical anxiety (lowering heart rates, blood pressure) and improved muscle relaxation. Other successful applications have shown benefits for premature infants, who in controlled studies gained weight faster and went home earlier when music was played daily. In order to be termed “music therapy”, the practitioner must be a board certified Music Therapist with at least a Bachelors Degree.